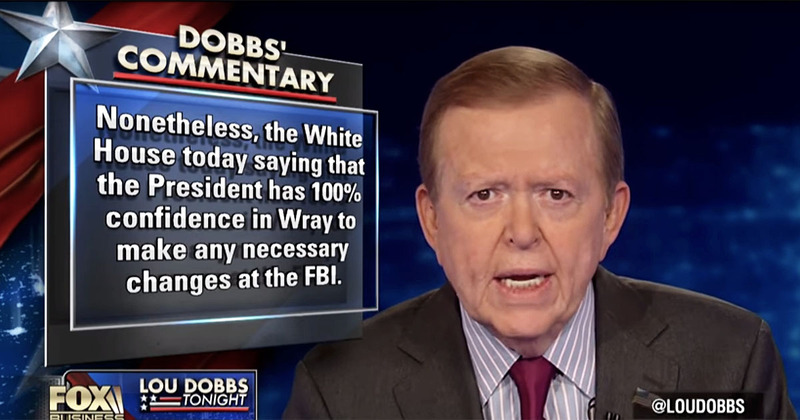 Lou Dobbs describes the obvious and public lies of the Dems that are piling up as now being too numerous and threatening for even the national left-wing media to ignore altogether. i think the President has MISPLACED HIS TRUST in a career FBI agent now director, and Mueller is a DEEP STATE CRIMINAL HIMSELF. and i DON’T TRUST AG SESSIONS EITHER, and ESPECIALLY ROD ROSENSTEIN.